NOTE: This content is old - Published: Friday, Apr 1st, 2016. This is not an April Fools! 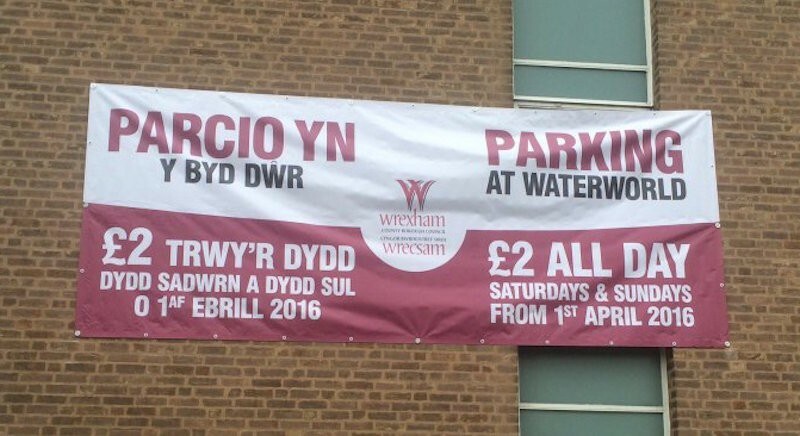 Shoppers and visitors to Wrexham will benefit from the introduction of cheaper car parking in one of the town centre’s largest car parks. 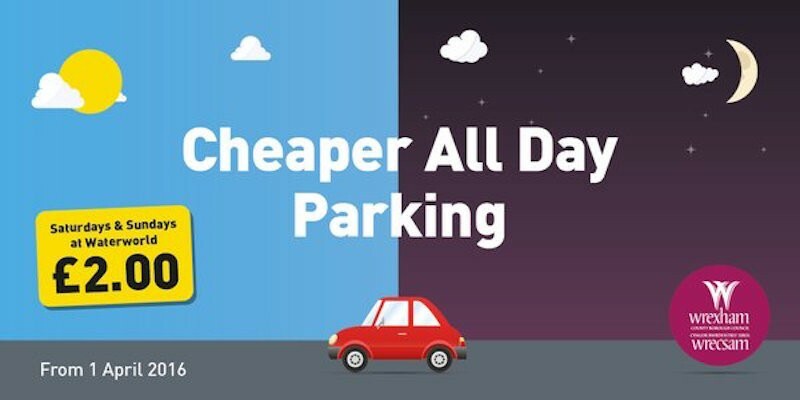 Today sees the introduction of a new parking tariff allowing visitors and shoppers to take advantage of a new three hour parking charge Monday to Friday at £2.00 in Waterworld. There will also be the introduction of an all day charge on Saturday and Sunday of £2.00 in both Waterworld and Crown Buildings. Free parking after 3pm in the People’s Market will also continue. The move comes after members of the Executive Board unanimously approved the proposals back in January 2016. There’s also plans for a number of free parking days in all council owned car parks. These include the Wrexham Food and Drink Festival on the 14th/15th May, Annual Play Day on 3rd August and Small Business Saturday on 3rd December. The following three Saturdays leading up to Christmas will also see the return of free car parking in the People’s Market.